The competition is expected to be intense next weekend when the best stock car racers in the world enter The Last Great Colosseum. Sparks will surely fly as the top drivers in the Monster Energy NASCAR Cup Series hit the track for the tradition-rich Food City 500 on Sunday afternoon (2 p.m. ET, FOX). A Saturday double-header will also put fans at the edge of their seats when the XFINITY Series stars rumble around the World's Fastest Half-Mile during the Fitzgerald Glider Kits 300 (1 p.m. ET, FS1) and are followed by some of NASCAR's rising stars in the K&N Pro Series mixing it up during the Zombie Auto 150 (4 p.m., tape-delay NBCSN). In the Monster Energy Cup Series, the early season prediction was for a Young Guns takeover. However the Veteran drivers have proven that they aren't giving an inch to the newcomers. Kevin Harvick, a two-time Bristol winner, powered to three consecutive victories at Atlanta, Las Vegas and Phoenix and was followed by defending series champ Martin Truex Jr. winning in California and Clint Bowyer taking the checkered flag in Martinsville. The Veterans have also had a strong hold on Bristol in recent years, and defending winner Jimmie Johnson will try to keep that trend going as he aims for a repeat performance. Another veteran, Kyle Bush, who won all three races here in dominating fashion last August, pushed his overall BMS win total to 20. With six Cup victories Busch is always a top contender at BMS. Others to watch include past winners Joey Logano, Brad Keselowski and Kurt Bush, all veterans. Some of the Young Guns who are making gains at Bristol and are poised to earn a breakthrough victory include Chase Elliott, Ryan Blaney, Kyle Larson, Erik Jones and Austin Dillon, among others. Johnson, who also won in 2010 in addition to last year's victory, has a lot of experience around BMS and says fans can always expect a drama filled shootout on the all-concrete high banks. "This is one of our most entertaining tracks on the circuit," Johnson said. "I show up with great optimism. I feel like we don't necessarily qualify great there, but I always raced much better." The Food City 500 will feature 125 lap sprints in both of the first two stages and then a 250-lap clash in the final stage to determine the race winner. On Saturday, all eyes will be on the XFINITY Series where the $100,000 Dash 4 Cash bonus will be up for grabs in the Fitzgerald Glider Kits 300. The bonus is available to the four highest finishing XFINITY Series regulars from this weekend's event at Texas Motor Speedway. Daniel Hemric captured the prize last year at Bristol and JR Motorsports ace Justin Allgaier won it two years ago. The driver of the No. 7 Chevy Camaro says adding the extra cash incentive at a track like Bristol just increases the excitement level. "Obviously, Bristol itself is fun to begin with, it's one of my favorite racetracks on the schedule, if not my all-time favorite," Allgaier said. "That's obviously good for me, but on the flip side of it there are a lot of really good guys that race well at Bristol and it's going to make it a great race and more exciting for sure." While Dash 4 Cash favorites Allgaier and Hemric will be at the top of every prognosticator's lists for those likely to take the checkered flag in the Fitzgerald Glider Kits 300, there are plenty of other top drivers in the series who deserve a quick mention as well. Red-hot Tyler Reddick, who took over the No. 9 entry for JR Motorsports this season, kicked off the year with a win at Daytona and has had success in the past at Bristol in the NASCAR Truck Series. Series veteran Elliott Sadler leads the points standings, and newcomer Christopher Bell has been turning heads with his talent behind the wheel. Cole Custer will be another one to watch at the controls of his No. 00 Haas Automation Ford. Second-generation racer John Hunter Nemecheck will pilot the Ganassi Racing No. 42, while rising stars Austin Cindric and Ty Majeski will also compete in their respective Ford machines. Local favorite Chad Finchum, from Knoxville, who won the 2016 NASCAR K&N Series race at Bristol, will make his second XFINITY Series start at BMS at the controls of the No. 40 Toyota owned by Motorsports Business Management. The 300 lap Fitzgerald Glider Kits XFINITY Series race at BMS will feature 85 lap dashes for both of the first two stages and then a 130-lap shootout for the final stage. Erik Jones is the defending winner and Kyle Larson started from the pole here last year. BMS and NASCAR officials added 25 laps to the K&N Pro Series Zombie Auto 150, a race that second-generation driver Harrison Burton won last year. Burton will try to defend his title, and will be challenged by a host of talented drivers, including Truck Series regular Noah Gragson, Brandon McReynolds, son of FOX talent and former NASCAR Crew Chief Larry McReynolds, and last year's second and third place finishers, Ruben Garcia Jr. and Spencer Davis, respectively. Burton says winning at Bristol was on his bucket list and he's ready to do it again this year. "I grew up attending races at Bristol with my family and I've always wanted to win there," Burton said. "To actually get my first K&N victory at Bristol on that track was definitely fun. I'm ready to try for another win." In addition to the exciting racing, you'll definitely want to take advantage of so many activities to make a complete weekend of family fun, including great video entertainment provided by Colossus TV, the world's largest center-hung video screen, premium VIP experiences like the Chairman's Experience, tailgating, on-site camping, concerts, great food and beverages in the concession stands throughout the property, and so much more. 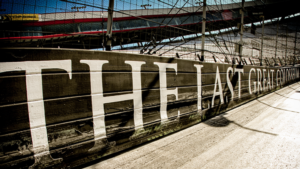 And for families who want to bring the entire clan, Bristol Motor Speedway officials are making it easier than ever for kids to have an awesome experience. Kids' tickets (12 and under) are free and adult tickets are $5 for Friday's (April 13) Bush's Beans Pole Day. On Saturday (April 14), kids' tickets are free and adult tickets start at $35 for the Fitzgerald Glider Kits 300 NASCAR XFINITY Series race and the Zombie Auto 150 NASCAR K&N Series event. On Sunday (April 15) adult tickets start at $70 for the Food City 500 and kids' tickets are $10. For all races, each child must have a physical ticket in hand to enter the gates. 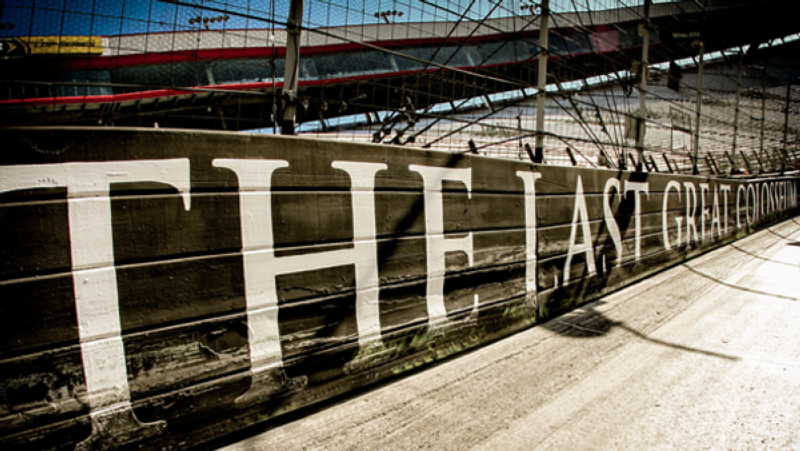 The Bristol Motor Speedway ticket office is the only authorized location that can produce the free kids' tickets.